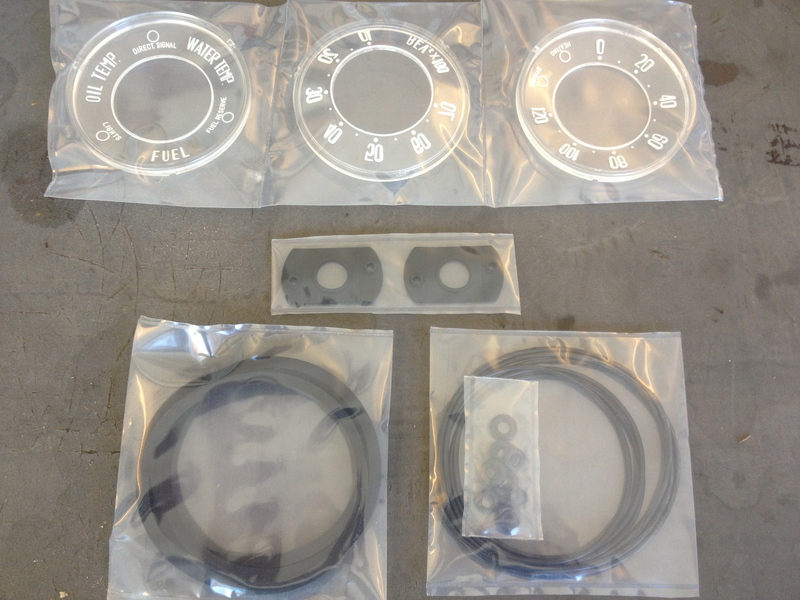 Reproduced: Gauge restoration kit -inserts, o-rings and more part 1. I was taking my monthly cruise of the AlfaBB the other day and found a post by Uncle Rick praising the efforts of partscorrect.com to make gauge inserts for our Giuliettas. I went to their website and found out that they were local to me and they were David, who I met a few years ago while out in my Sprint. 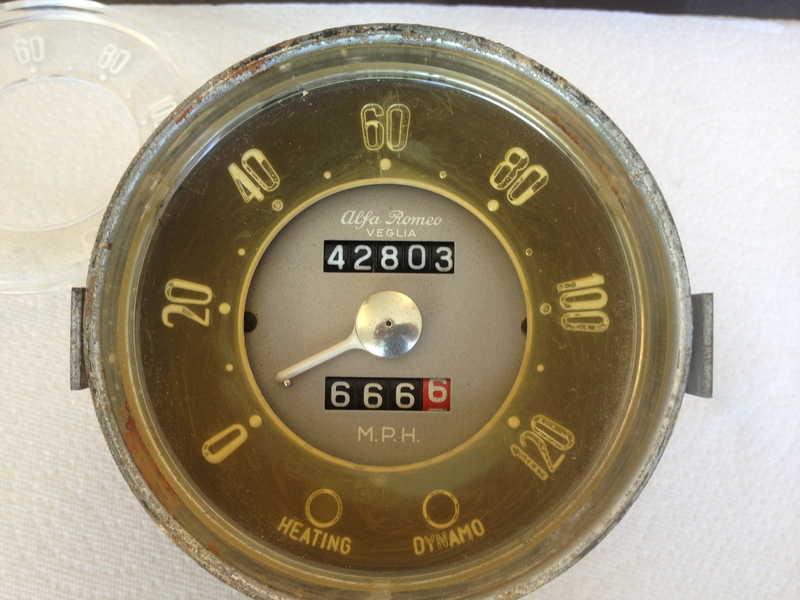 An email exchange ensued and now I sit with his complete gauge restoration kit on my work table. It’s a pleasure to report that my high expectations have been greatly exceeded! 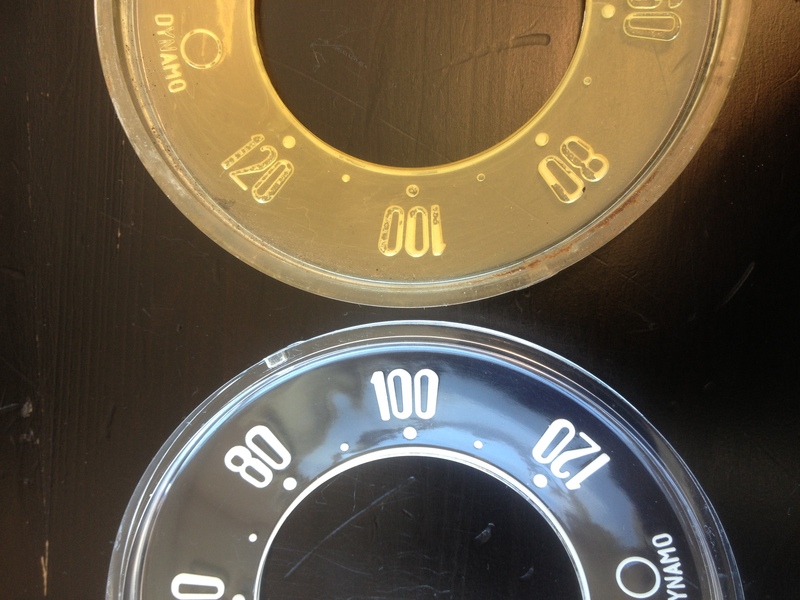 These gauge inserts are simply stunning! The kit: gauge inserts in a clear plastic that will not yellow in time, asymmetric o-rings that go between the chrome ring and glass, o-rings that go between the gauge body and recessed ring and/or dash (depending on whether it’s a Spider or Sprint), small o-rings that go under the drive mount screws and flat insulating rubber gaskets that go between the speedo or tach drive and gauge housing. New and old side-by-side. I guess you can tell which is which. You can see here how well matched the scripts are. They are impressed into the plastic just like the originals. New inserts are super smooth and crystal clear. There is no bleed-over from the paint onto the clear plastic part. Here’s the new one set into an apart gauge I had lying around. 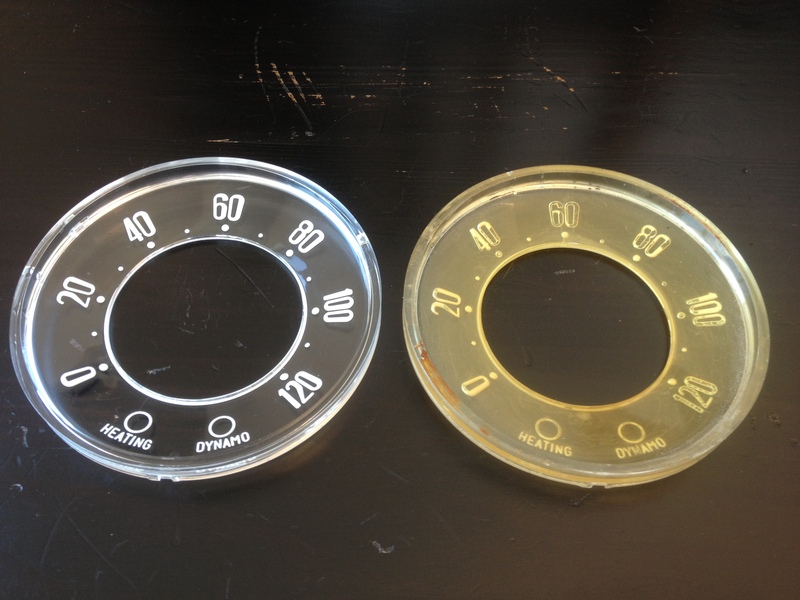 I’ve assembled other reproduction lenses into gauges before and they never looked this good. Part 2 will occur when I get a few minutes to pull the gauges out of my Sprint and do the parts swap. 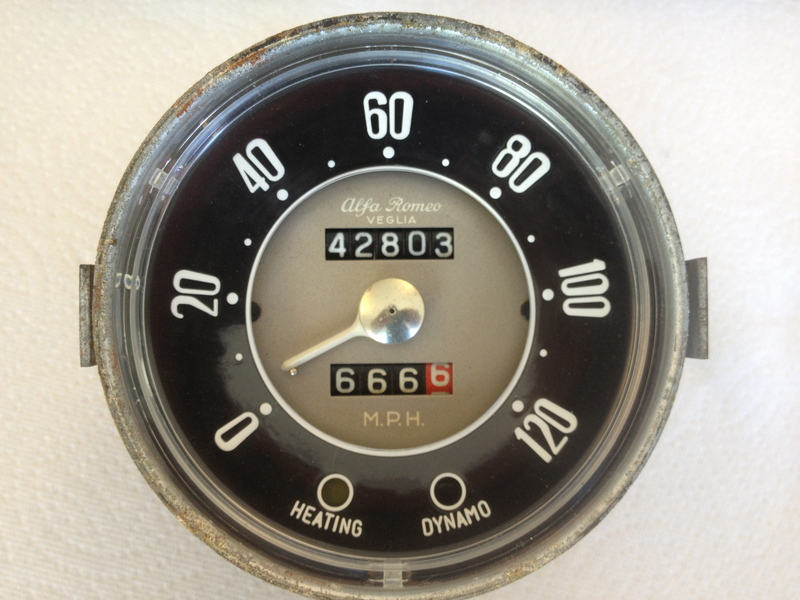 or spend over a grand at Palo Alto Speedometer…. I made a set of these for a friend once. They turned out great but he didn’t like the look, and put the original browned ones back in. I would recommend getting a set while they are available, it took me some weeks to make the set, molds and all. I used a silicone mold for prototype parts so making 10 would be ok but once you make more they start to distort since the mold is soft and the heat from the catalyst tends to make the material deform a little each time. but my gauges of my Giulietta Sprint 750B are in italian. I am told they will be available in all the various original permutations of unit systems and languages.